This revised and updated edition of Nesheim's underground Silicon Valley bestseller incorporates twenty-three case studies of successful start-ups, including tables of wealth showing how much money founders and investors realized from each venture. 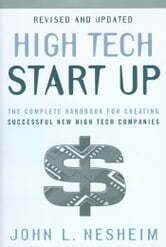 Acclaimed by entrepreneurs the world over, this practical handbook is filled with hard-to-find information and guidance covering every key phase of a start-up, from idea to IPO: how to create a winning business plan, how to value the firm, how venture capitalists work, how they make their money, where to find alternative sources of funding, how to select a good lawyer, and how to protect intellectual property. 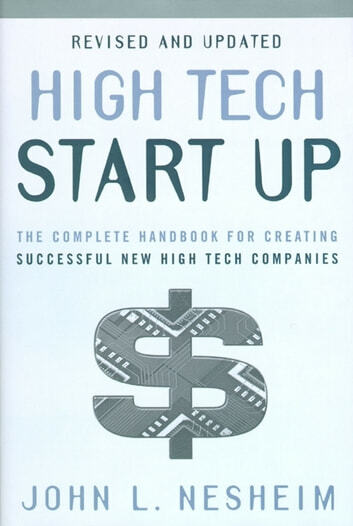 Nesheim aims to improve the odds of success for first-time high-tech entrepreneurs, and offers an insider's perspective from firsthand experience on one of the toughest challenges they face -- convincing venture capitalists or investment banks to provide financing.